Dominant Social Theme: Hmm, it seems the BRICs are having problems. Free-Market Analysis: We’ve been banging on about a worldwide slump for years now, ever since it occurred to us that once Europe and the US “went out” in 2008, from an economic standpoint, the BRICs were all that was left. And the BRICs are more like the proverbial straw hut these days. China, of course, has certain problems but it’s Brazil and India that are the countries attracting the most attention. Brazil is in the news (from our standpoint) because of a coming devaluation in Argentina that may have a significant impact on the dollar economy of both Brazil and the “Switzerland of South America,” Uruguay. Now India is beginning to receive mainstream news coverage as well. This is only to be expected. 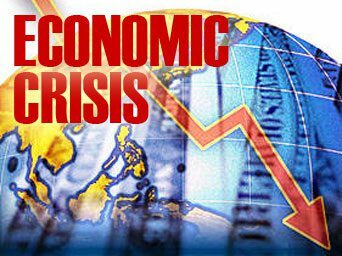 The elites that want to run the world are seemingly building a worldwide economic depression – a fact that cannot be gainsaid if one understands that the world’s economy is an entirely artificial one these days. There are now, after about 100 years, perhaps 150 central banks in existence – and this gives the tiny handful of dynastic elites that control them tremendous power. Such monopoly central banking – printing money from nothing – allows the elites that control these banks to create tremendous booms and then busts that centralize more and more power in fewer and fewer hands. That seems to be what’s going on now. It suits the purpose of the power elite to create a further global slump that will then result in further global governance and even a single worldwide currency (now apparently being planned). The world is basically a three-legged stool, supported by Europe, the US and the BRICs at this point. The world’s economy will stumble and fail along with the BRICs, if that’s what is happening. And it seems to be. Of course, the elites work quietly in the background. They naturally don’t want to admit to an engineered takedown of the world. But their bought-and-paid-for media can be plenty vocal when given the opportunity. Perhaps that’s what is going on now. We noticed it a while ago regarding China, and now both Brazil and India are getting press about domestic economic troubles. When the mainstream media is recruited to this sort of reporting, you can bet the elites WANT it publicized. The narrative seems to us neatly laid out. The initial bubble-and-bust in 2008 provoked a good deal of controversy. But it is likely that the crumbling of the BRICs, coming some four years later, will not look to most like a connivance. Of course, it must be. The degradation of the world’s economy should be laid at the feet of the system that is currently empowered: Monopoly/mercantilist fiat-paper central banking. We’re not supposed to notice, of course. But we DO notice. It’s not OUR world. It’s not OUR economy. It’s theirs. But so long as we borrow this world, we’ll do our best. We’ll downsize, try not to borrow. Maybe buy more gold and silver. Try to drop out of the consumerist society as much as possible. Buy some farmland. All prudent moves. We can’t control the larger confluence of forces that are driving the world’s economy down. We can’t work on that scale, of course. Only a handful can and apparently do. But we can arm ourselves with knowledge. We can appreciate this weary world’s directed history. We can educate others. Above all, we can control our own psychology and desires. We can refuse to give in to pessimism. Conclusion: We can take what Ludwig von Mises famously called human action to better our own lifestyles and those of our loved ones. We can protect ourselves. And we should. Posted on May 10, 2012, in AMERICAS, Eco-socialism, Economic collapse, Economic planning, Economic policy, Fiat Currency, North America, ObamaCare, Progressive Agenda, Social Security, Tax Policy, United States and tagged Brazil, BRIC, Central Bank, Central Banks, China, Coming, Depression, global governance, gold, India, International Monetary Fund, mainstream news, power elite, silver, United States. Bookmark the permalink. Comments Off on Directed History of Coming Depression Grinds On.